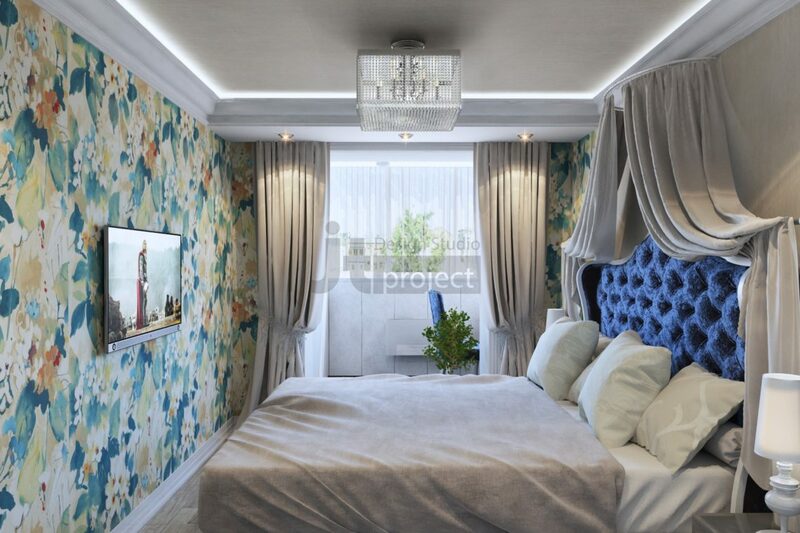 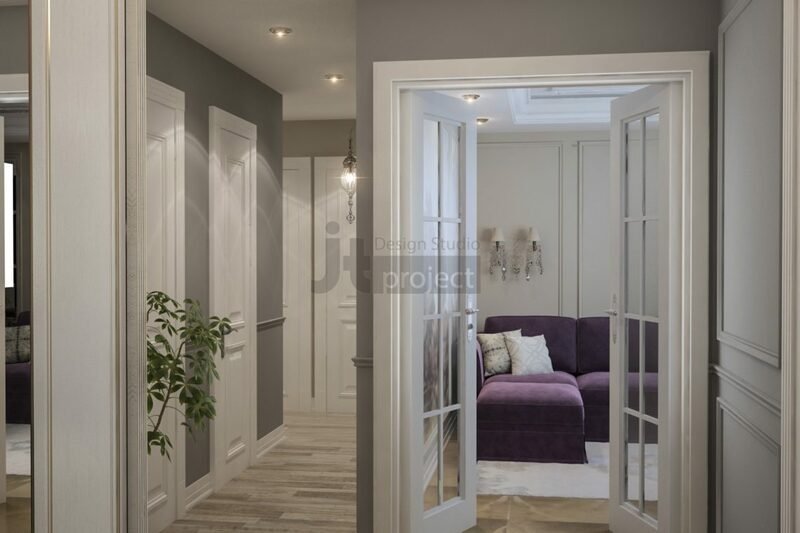 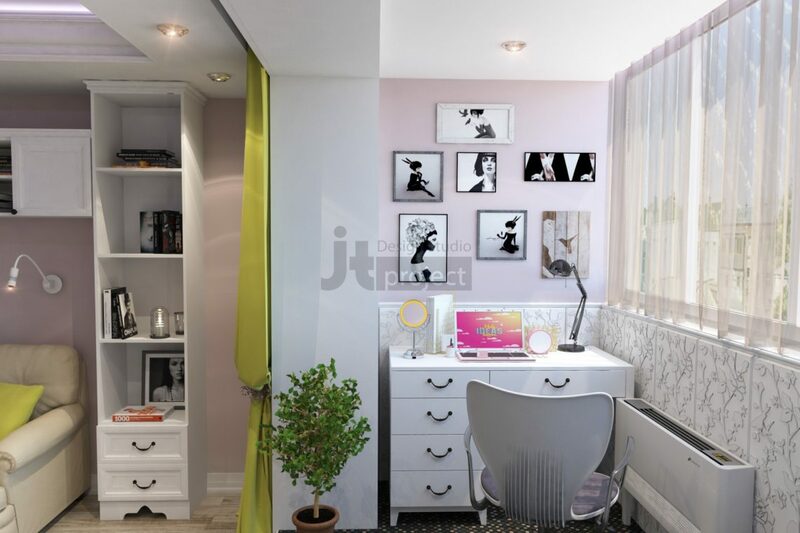 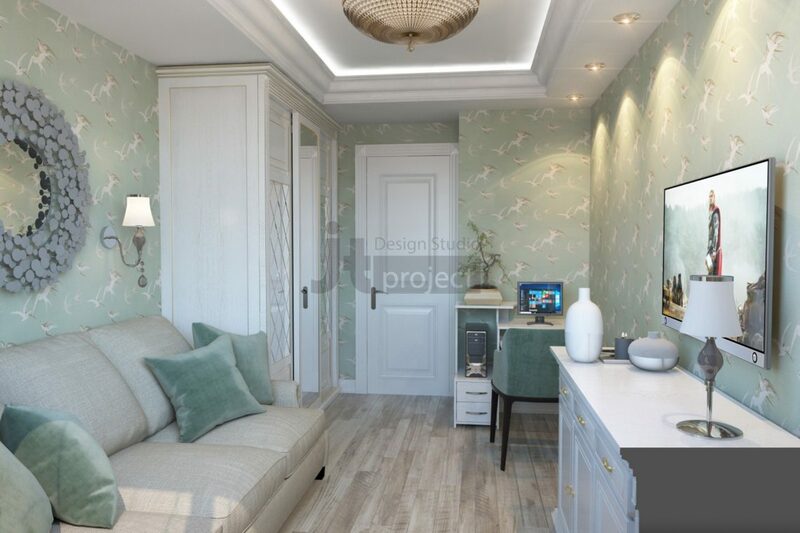 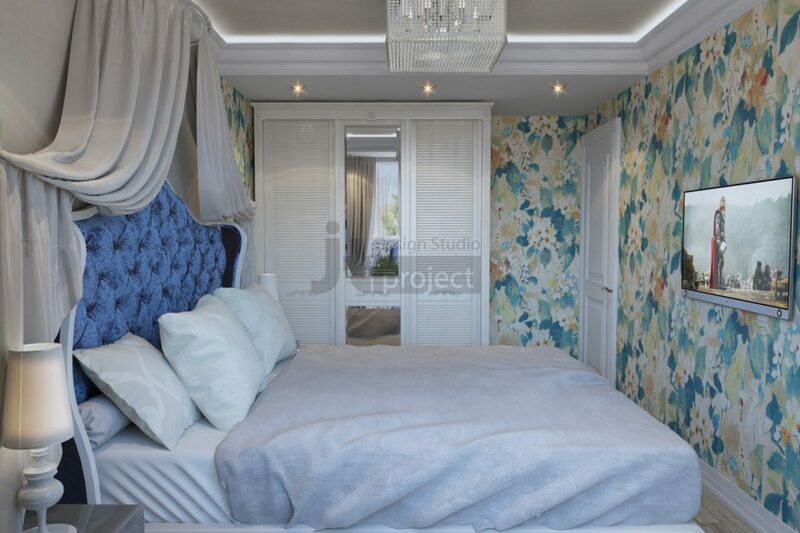 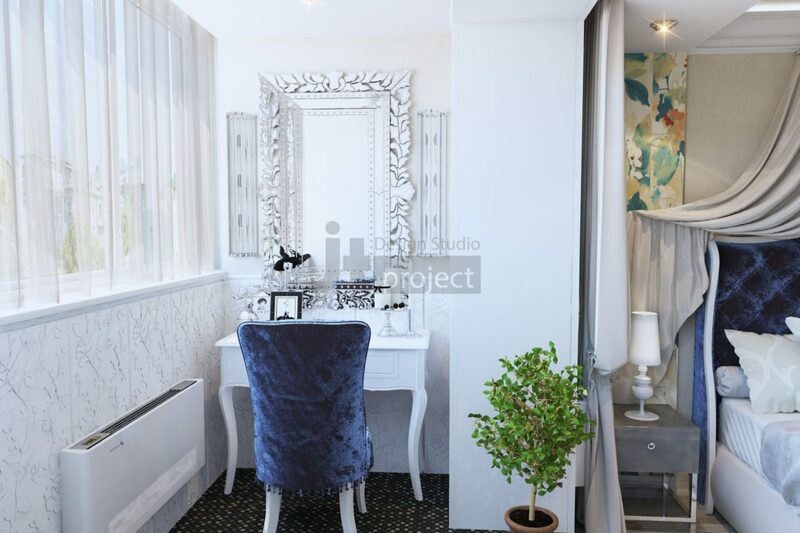 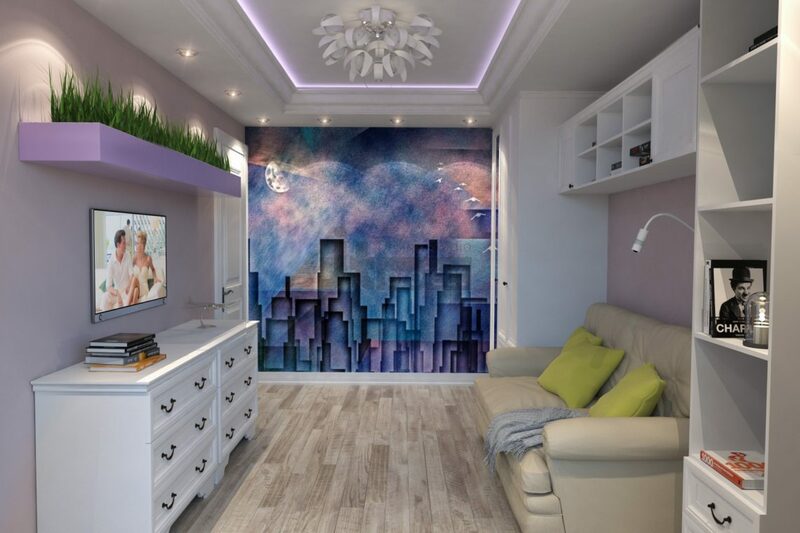 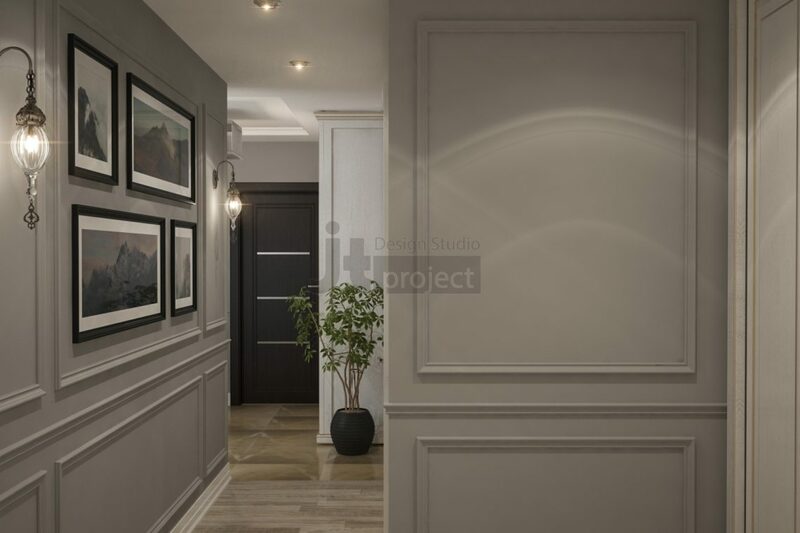 Design project of three bedroom apartment located in the Volodarskogo settlement, Moscow region. 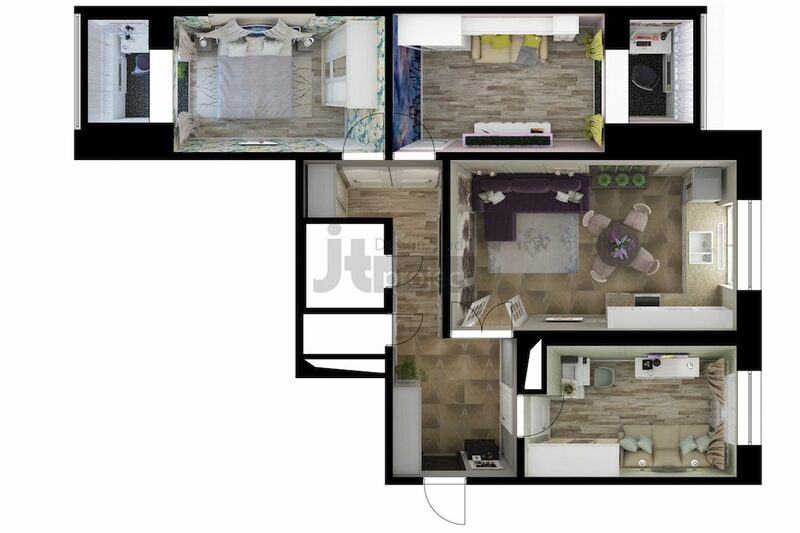 After having the second child a big and close family sart thinking of re-planning and new design of the apartment. 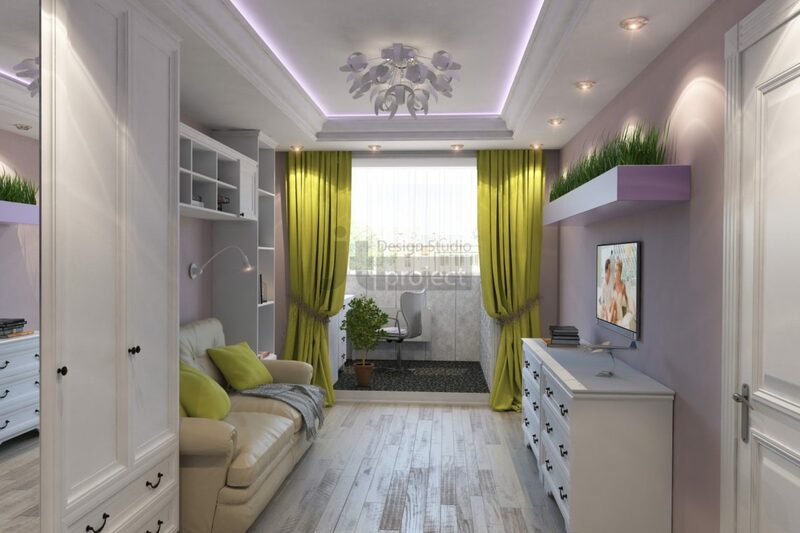 An old dream of a comfort and cozy space where each family member will have his own place for leisure, hobby and work, was finally decided to be realized. 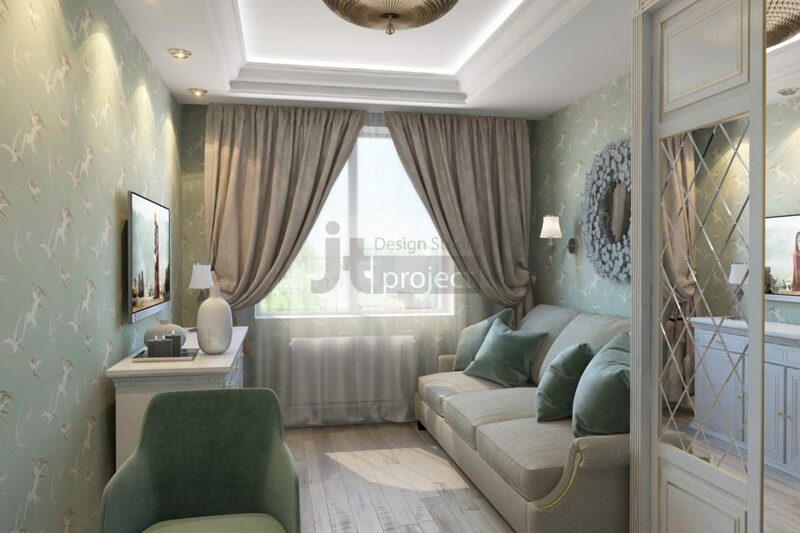 Designers of the JT-project studio have developed an interior in which cold and warm colors, glossy and opaque textures are harmonized. 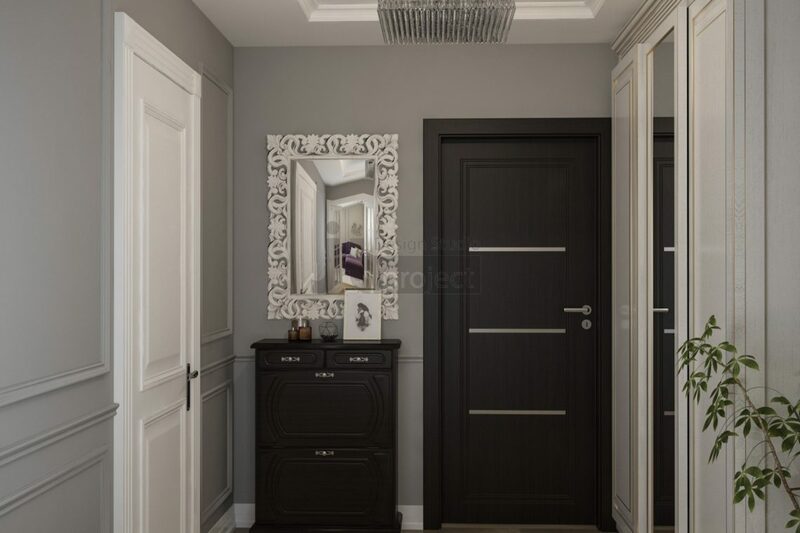 Natural coloring has been taken as the basis of the color scheme. 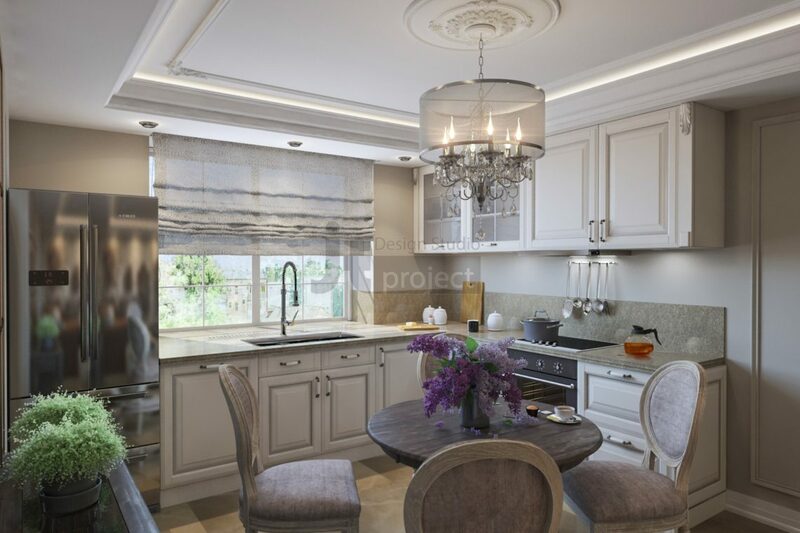 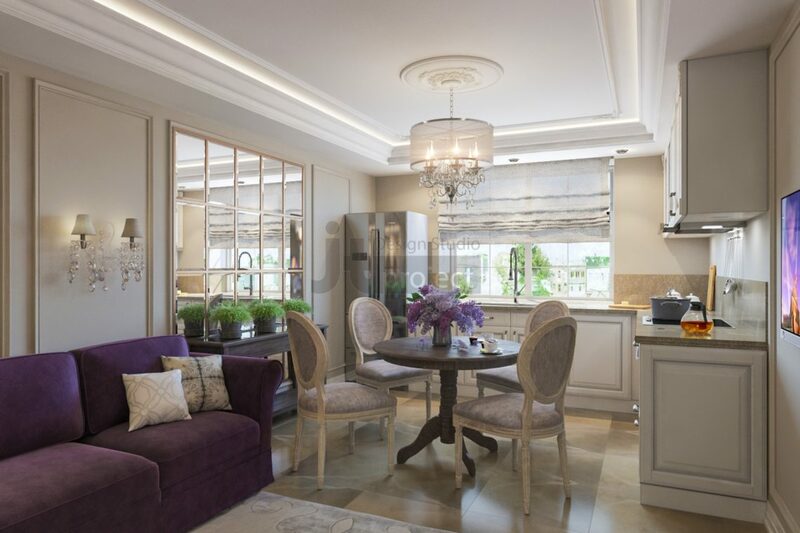 The main goal here was to make a proper integration of the kitchen and living room by transferring the kitchen zone. 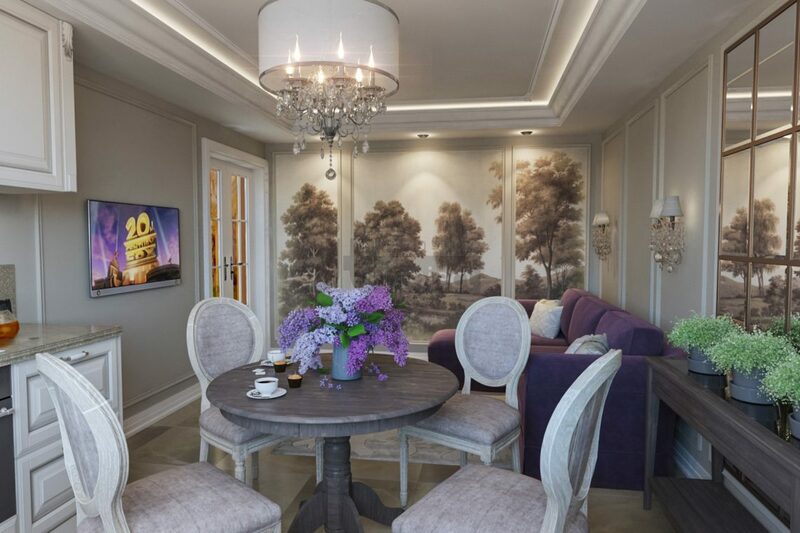 The mirror panel and landscape frescos have visually expanded the integrated room space.